+I have a cough that's just not going away. +I did not make it to the post office yesterday so Christmas presents will be another couple of days behind. I don't understand how people don't begin shopping until the end of December. My shopping has been done for awhile. I just hate the act of mailing things out. So. much. effort. If late shoppers had to mail their gifts…people wouldn't be getting Christmas presents. +I did start mailing Christmas cards. +Scott spent a whole morning working on my car and we're convinced that Larry H. Miller Toyota of Colorado Springs decided to screw with us by damaging wires and stuff when they realized we weren't going to pay them $2400 to replace a few wires. +At least the Christmas tree is up and decorated. I like a good colorful tree. Someday I will have those vintage lights that you see on A Christmas Story. +And if you like history, these are funny. There's a whole list on my Pinterest page. Can I just say that I love that your tree doesn't have a theme?? I love the special ornaments on there, ours is all sentimental ones. Ah I just love your tree! I like a colorful tree too, but I lost the rock/paper/scissors game when we first got married so...white lights it is. I only have like 14 ornaments too, so it's fairly plain. But at least it keeps storing it all easy. I'm sorry about your car and the cough. Life is annoying right now. I *hate* going to the post office. The idea of sending gifts and care packages is great, but actually going to mail them is awful. I'll join you in the cough department. I'm starting to wondering if I have bronchitis but unless it gets bad, I'll have to wait til break for a dr appointment. Here's to cough meds!! 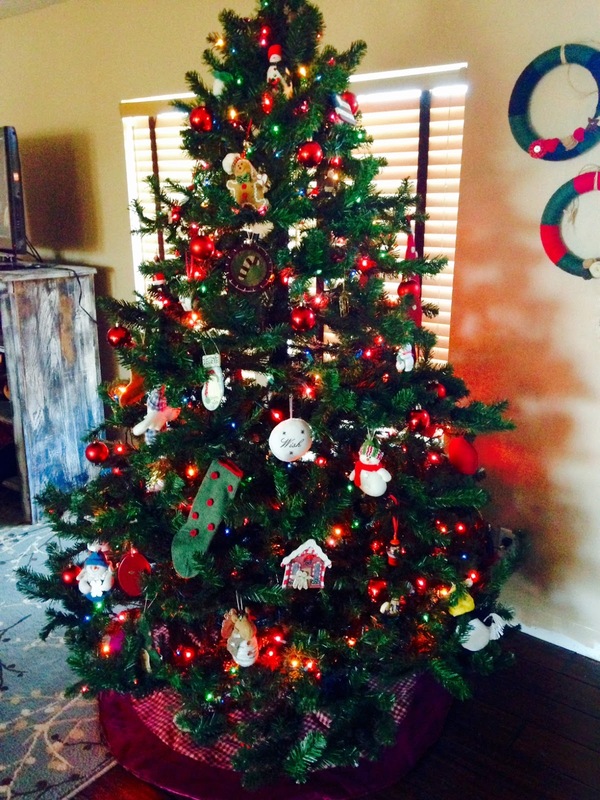 Our tree will never ever have a theme, other than eclectic ornaments we've collected. I like it that way. I finished all my shopping before Thanksgiving, and nearly everything is wrapped. I'm on the ball this year! Oh man, I love "historical" memes. Your tree looks fantastic! And ugh, I was at the post office this weekend... spent 20 minutes in line but at least all the mailing is done. I'm dying for some of those big, multi-colored vintage-esque bulbs, I want to put them all over the outside of the house. But Isaiah hates them and said the only way he'll cave is if we ONLY do red and white. I said I don't want the house to look like a candy cane so it's all the colors or nothing. Needless to say, the outside of the house has nothing but ALL white, little bulbs. Sigh. 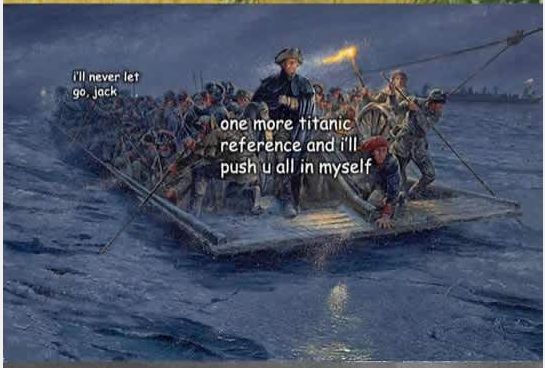 Those George Washington memes...I die laughing every single time I look at them. AW YISS. love your tree! i dont even know what it means to have a theme lol. hope you are all better soon!